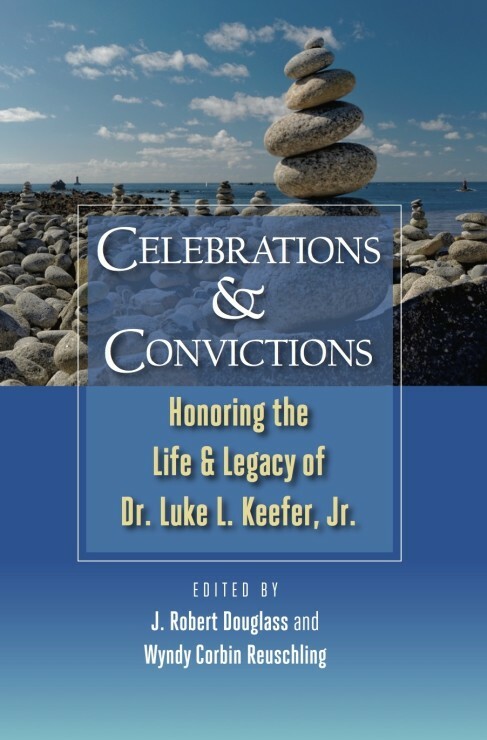 This month, the Historical Society published two new books: Celebrations and Convictions: Honoring the Life and Legacy of Luke L. Keefer, Jr., edited by J. Robert Douglass and Wyndy Corbin Reuschling, and Living, Simply, Giving Generously: A Biography of David and Jeannie Byer, by E. Morris Sider. As you can tell by the titles, these books are tributes to the lives of three Brethren in Christ individuals. Celebrations and Convictions consists of a series of essays that focus on Luke’s commitments and convictions. Part 1 includes a short biographical sketch of Luke, a profile of Luke as a mentor and friend, and an essay by Luke himself on the “uneasy synthesis of heritage streams” in the Brethren in Christ Church. The essays in Part 2 explore from their writers’ points of view some of Luke’s specific convictions and his contributions to their own thinking. Topics include a survey of Brethren in Christ history, heresy (something Luke was researching when he became ill), spiritual formation, Christian history from a Wesleyan perspective, missional identity, Anabaptist ecclesiology, women in ministry, reading Scripture, pacifism and nonviolence, and Christian ethical commitments. The introduction and three of the essays were written by Luke’s colleagues at Ashland, while all the others were written by Brethren in Christ authors. Luke showed us that the Christian life is a life of joy, gratitude, and grace. Luke delighted in relationships. We all know how much Luke loved his [family]…. Luke and Doris had deep friendships with people at Ashland Brethren in Christ Church. There was rarely a Sunday that passed wen their dining room table was empty of guests. Luke would seldom pass up an invitation to a euchre game, an invitation to go out for ice cream, a piece of pie at Lyn-Way’s, or a seminary social function. Luke was a conduit of God’s grace in relationships, able to “rejoice with those who rejoice, and weep with those who weep” (Rom. 12:15). For many of us, Luke was chaplain and pastor when we needed a confidential ear in which to confide, knowing we would be taken seriously and our concerns heard with care. If you ask people who knew Luke, we imagine that one of the descriptions you would hear is that Luke was a person of integrity, in that he desired to live out what he believed to be “honorable, just, pure, pleasing, and commendable” to God (Phil. 4:8). Each of these chapters is a reflection of this wholeness and interrelatedness in Luke’s life. We both experienced this to be true of Luke, whose integrity was amplified in our view by his honest and open personal reflection about his own life that he shared to encourage and help others. After all is written and said in these chapters, perhaps the greatest legacy Luke leaves us takes us back to the greatest commands we are given by Jesus: “You shall love the Lord your God with all your heart, and with all your soul, and with all your mind…and…You shall love your neighbor as yourself” (Matt: 22:34-40). 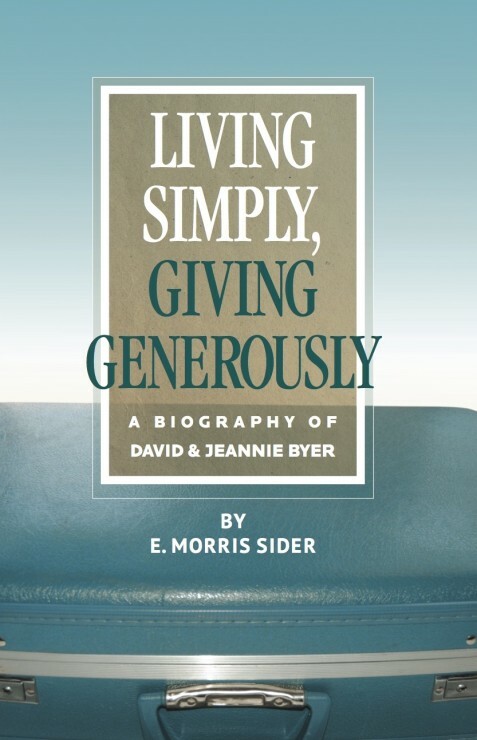 May this be true for us as it was for Luke L. Keefer, Jr.
David and Jeannie Byer encouraged people to live simply and give generously. The two parts of this expression are related: live simply in order to give generously. As this biography attempts to show, the Byers practiced what they preached, although the preaching was more by example than by proclamation. My hope is that this book will serve to spread abroad this principle by which they have lived. Both books are available for sale from the Historical Society. All members of the Society will receive a free copy of the Byer biography, while others may purchase copies for $10 each plus postage. Celebrations and Convictions is available for $15 per copy plus postage. Contact the Society if you are interested in purchasing one or both books.